The site is just off Joymount St. There are no remains. 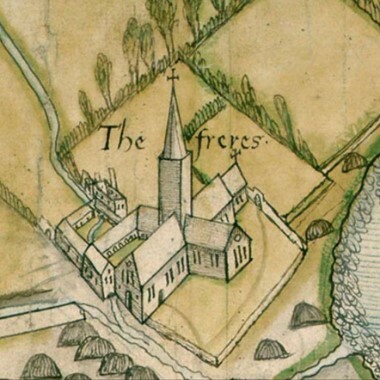 An early Franciscan foundation in Ireland, it received a royal grant in 1248. The Observant reform was introduced from Donegal in 1497. Early suppressed, it was used as a munitions store until it was re-built as Joymount House by Sir Arthur Chichester in 1618. From 1626 on, the friars made several attempts to return to the area, but were never successful. 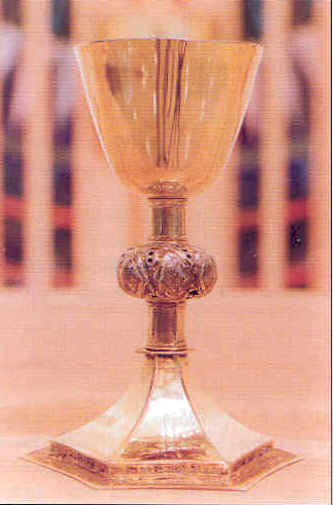 Occasional parish work was carried on there by the friars in the eighteenth century.